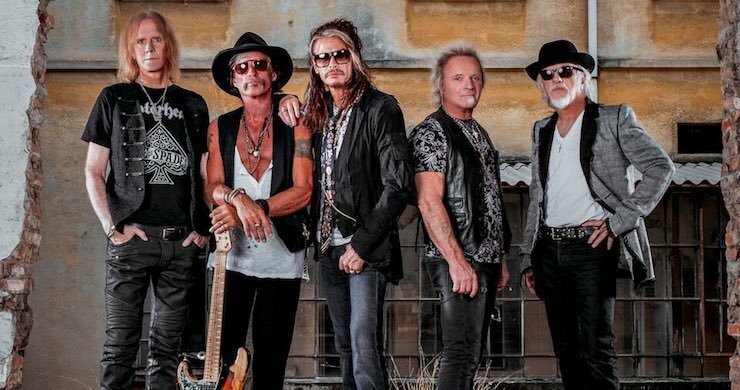 (TRR) – Aerosmith have revealed a video of rehearsals for their upcoming Deuces Are Wild Las Vegas residency. The behind-the-scenes footage sees the band preparing for the shows in what frontman Steven Tyler calls “our own Area 51.” The clip was shot by Justin McConney and can be streamed below. The band’s residency kicks off this Saturday, April 6 at the Park MGM. “We decided to do Vegas,” frontman Steven Tyler announced on the Today show last August in New York City. The iconic rockers recently announced a select number of Deuces Are Wild dates at three east coast MGM Resorts properties – MGM National Harbor in Maryland, Borgata Hotel Casino & Spa in New Jersey, and MGM Springfield in Massachussettes. The complete list of dates can be found below. For all dates, VIP info & ticket options visit Ticketmaster.com/Aerosmith. Tagged Aerosmith, deuces are wild, Joe Perry, las vegas, residency, Steven Tyler.